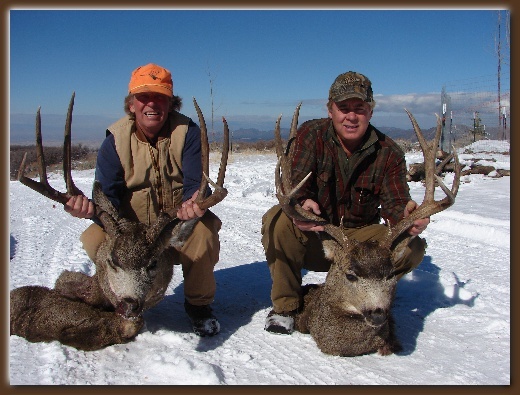 Anyone interested in the free range Audad hunt below, reach out to me ASAP at web@ftguides.com or call us. I am finalizing that hunt over the next couple days and need to get the ball rolling on a total number of hunters. It’s an awesome opportunity. The above pictures says it all. Winter has been almost non-existent here in Central Colorado this year. One for the record books. We are finally starting to get some precipitation the last few days, but our snow pack has a lot of catching up to do. 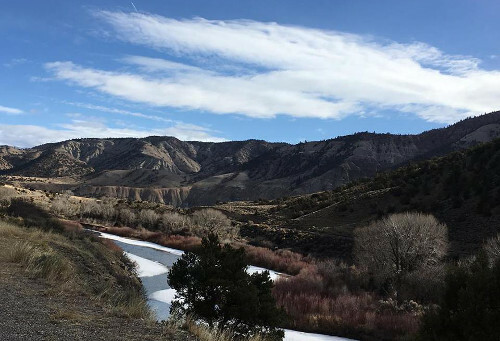 The plus of the current conditions is deer and elk are in incredible condition for mid-February. Fawn and calf survival should be above normal. The rest of the winter will play a big factor in the negatives that come of this, but it is likely we will face poor range conditions in the spring. Dry conditions here don’t affect antler growth like it does in Arizona and Nevada, but it still has some negative impact. More importantly, we face some uncertainty of potential wildfires. We’ll keep our fingers crossed that a wet early spring helps us mitigate those negatives, while we retain some growth in the herd due to the mild nature of the winter. We still have some availability during September for both guided and drops camp hunts in the wilderness. I’m running a smaller guided camp this year and we will likely close those books up by the first week in March. All of our rifle guided hunts are booked up with the exception of 2 spots during 1st rifle and four spots during 2nd rifle season. 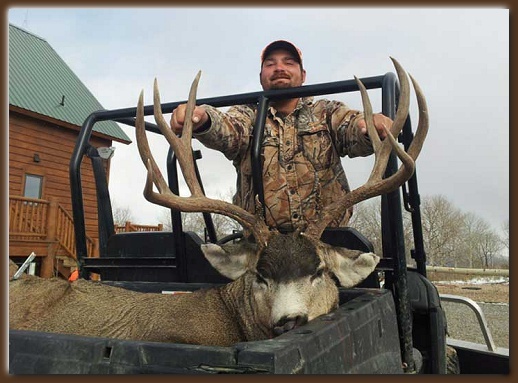 1st season will be elk-focused hunts out of our high camp, while 2nd season you can add-on a mule deer. I have a great drop camp left for 3rd rifle season, exceptional for big deer and great for elk if we have some snow by then (which we should!). I also have one low camp for any group looking to do a snow hunt for late season elk during 4th rifle season. Everything else is booked for 2018. 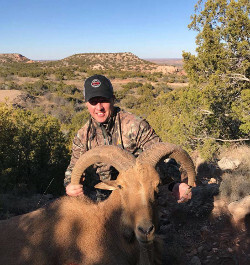 These hunts are operated in Unit 65 outside of Montrose, Colorado. In 2018, I have four hunts left during the 3rd rifle season. Hunters will have multiple opportunities to harvest a deer during their hunt and the goal is to harvest 170″+ bucks. Accommodations are a comfortable lodge. All hunting is done on leased private land. Non-residents and residents have a good opportunity at drawing a tag in the state draw. However, if the hunter does not draw we have land owner vouchers for purchase at $1,000 per hunter. I am hosting a hunt down in Texas for free-range audad. We are looking to fill a couple spots. 3-day hunts. All hunts are done between now and March 15th. This is an exceptional ranch with exceptional rams. 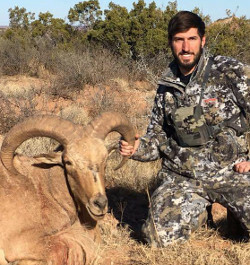 Harvest has been close to 100% and rams are all trophy caliber, 28″+ with some over 32″. Wild Audad are incredibly sharp, a reasonably priced sheep hunt and free-range opportunities like this are rare. Rugged terrain but vehicle access makes the hunt doable for most hunters. 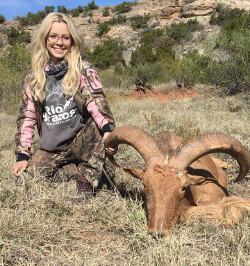 Hunters picky on ram size should be ready to do some hiking in the rocks. This is a glassing spot/stalk hunt, very much like other sheep hunts. Hunts are operated out of Lubbock, TX. Hunters are welcome to catch a ride with me from a meeting place here in Colorado.